Q: I own a leasehold flat and rent it out. I want to sell but there are some cases of anti social behaviour (loud music) from other flats. Can you advise on how upfront I should be with an estate agent about this? And is now a good time to sell or should I hold out? These are both personal decisions but we have asked some friendly estate agents for their views which you may find helpful. First and foremost you should be aware that as part of the conveyancing process you will be asked to complete a number of questionnaires about the property. You must fill these forms out truthfully and to the best of your knowledge; if it later transpires that you have not been fully truthful you could be sued for compensation. You need to provide information about any past or existing disputes (for example complaints relating to noise) and any action taken to resolve matters. The form also asks about anything that could lead to a dispute in the future. We would advise you speak to at least three local estate agents and sound them out. As well as getting a feel for the service they provide, they may well have experience of selling properties with similar issues and be able to re-assure you. 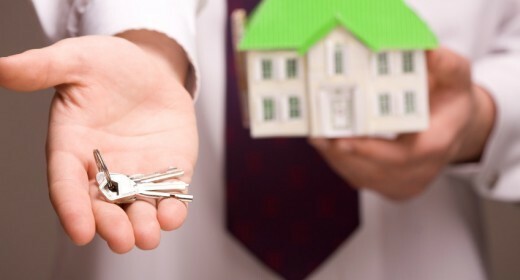 Three agents will also give you a more accurate valuation of your property. In terms of whether you should sell now, it really is down to you. Perhaps you feel the problems with loud music in neighbouring flats will only get worse in which case you may want to test the market sooner rather than later. You may find buyers who are insensitive to your current problems and it will not affect their offer. Spring generally is a good time to sell and across the UK there are more buyers entering the market because of growing confidence spurred by government schemes like Help to Buy [Spring 2014]. For regional housing trends in your area, take a look at our House Price watch. Good luck with your decision. We look forward to helping, whether you want to stay put and look at options for addressing the noise, or put your property on the market: we’re on your side. Disputes and complaints are covered in section 2 of TA6 Property Information Form. Jessica and David’s neighbours discover parquet flooring under carpets and cause a racket.